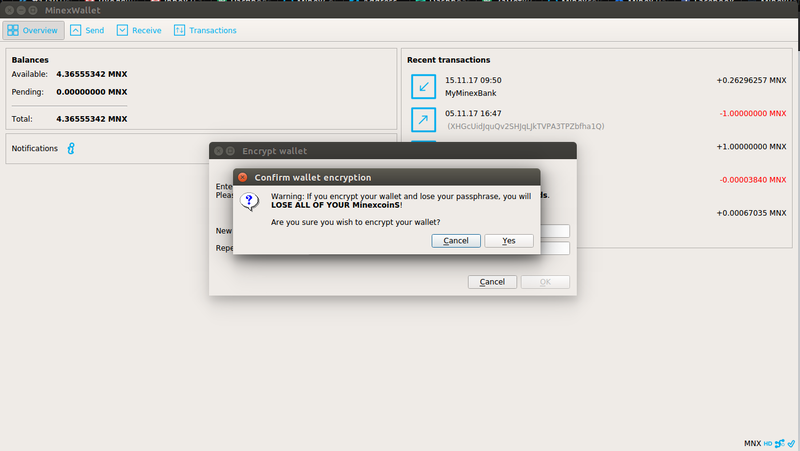 Our MinexCoin Core wallet has encryption option which prevents unauthorized operations with your coins - no one can transfer coins from your wallet without knowing your passphrase. NOTE: You should be extremely cautious with this option, because if you forget your passphrase no one will be able to recover it. Also there may be a case when during creating a passphrase you enter it too fast or touch some keys on your keyboard without even noticing the phrase, and then find yourself in situation when you “know your passphrase” but the wallet doesn’t give you access. Please enter the passphrase slowly. 1. Go to menu Settings. 3. Think about a passphrase which is quite difficult to guess and type it in. 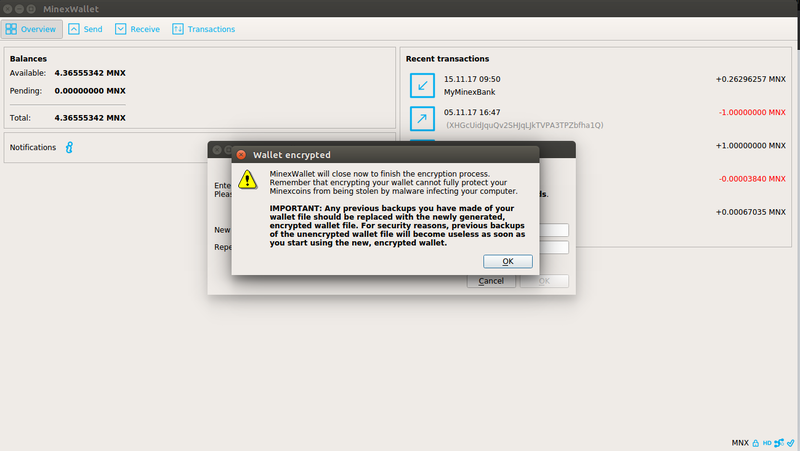 Read all the warning messages you see in the encryption process.